Backlinks or incoming links are most popular and commonly used technique in search engine optimization. Unfortunately bloggers and other website owners who don’t have knowledge about SEO don’t understand the power of backlinks. But if you want to increase huge relevant traffic on your blog or website to make it successful then this article could be very useful for you. If you have your own web resource or you are a SEO then you must be aware with back links importance in search engine optimization. 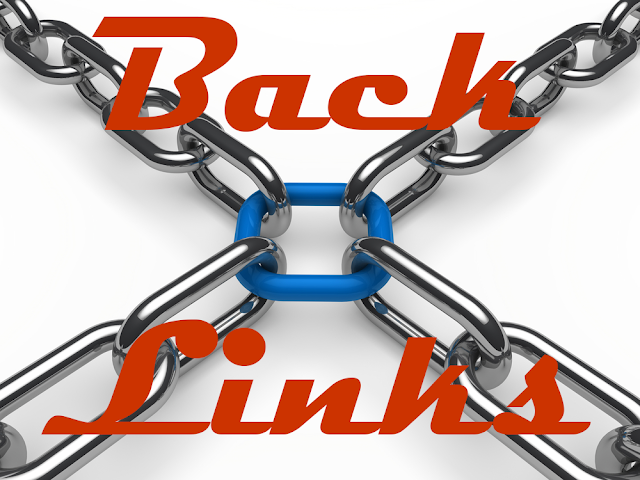 Back links are very important SEO technique to increase traffic to your web resource. These are the links from other websites to your web site or blog or you can also say that back links are links that are directed towards your web site. These links are also known as Inbound links (IBL’s), incoming links, or citation. Back links are important for search engine optimization; search engine like Google gives more importance to web sites which has great number of back links. But back links could be harmful if coming from bad quality sites which could affect website ranking so always tries to get quality back links to increase relevant traffic towards your website or blog. For search engine prospective backlinks play major role in page ranking, as much as your site or blog will have backlinks will be higher in Google ranking. Whenever your sites get a backlink it shows the credibility and quality and worthiness of your web resource. Whenever search engine specially Google gets sites which have huge number of backlinks then it gives priority to those web resources in page ranking. Google uses the number of backlinks as a core factor to determine web site’s search engine page rank and popularity. The significance of Google search engine ranking is very much and it works as an important parameter in online business and the conversion rate of visitors to your site or blog, especially if you are selling something online. • Exact Match – This kind of anchor text is used to exact match the keyword. Example: Google Search Console is exact matched anchor because it is linking to page Google Search Console. • Branded – Branded anchor text used to link any brand. Example: Wikipedia is a branded anchor text. • Images – When you use image as a link then Google uses alt text as an anchor text. • Generic – “Click here” a generic anchor text. • Naked Kink – When you use an URL as a link in your text then it is called naked link. It is not recommended to use naked link in your post. Example: www.Blogspot.com is a naked link anchor. Nofollow Link: Nofollow links are not useful for ranking of a page because they do not contribute anything. So you can use nofollow links to that web resource which are not reliable for you. Nofollow links was suggested to stop spam commenting. Nofollow is assigned to rel attribute in the anchor tag. Do-follow Links: By default all the links that you add into your blog post are do-follow links until you do not use rel=”Nofollow” in anchor tag. Internal Links: When you are using a link which point to another post in your same blog is called internal link. There are several ways to get quality backlinks from successful blogs. Here I am highlighting few of them. First start writing useful and quality content in your blog post. If you writing creative and wonderful articles into your blog then quality traffic will come to your blog which will help to get huge number of backlinks. Start commenting on successful relative blogs with higher PR. Commenting is one of the best ways to expose yourself in the blogging world. Using commenting you can show your presence to successful bloggers who may provide number of backlinks for your blog. Submit your blog into blog directories. This is another wonderful and effective way to get backlinks. But this task is not simple because finding genuine directory is not easy. Do Press Release if you have something worthy to share with others. Use social networking to show your brand to others which will help you to get relevant backlinks. One thing always remembers that never use paid backlinks because it is black hat seo technique for which Google may panelize your blog. So I hope this article will give you some basic but necessary knowledge about backlinks. What a great article ! !Thanks a lot for sharing this information. Internal Links makes any contributions for making Back-links?